Visit Momentum's Settings ⚙️to adjust or hide certain features, change the search provider, view your past or favorited mantras/photos/quotes, discover new benefits and much more! To access Momentum's Settings, click the Settings ⚙️icon at the bottom left corner of Momentum. Clicking the different categories on the left side of Momentum's Settings menu (e.g. General, Todo, Mantras, etc.) will display additional info and options. To show or hide certain Momentum features, visit the General section of Momentum's Settings ⚙️and then click any of the switches to the right of the features underneath the Show heading. 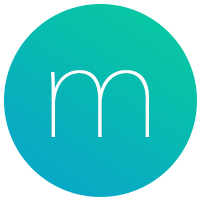 To see a list of your favorited and past mantras, photos or quotes, open Momentum's Settings ⚙️, click Mantras, Photos or Quotes on the left of Momentum's Settings menu, and then click the Favorites or History tabs. In Momentum's Settings ⚙️, you'll see a green Plus badge next to some features and options, these benefits are exclusively available to Momentum Plus members. Countdown lets you add upcoming events to your Momentum page so you can see how much time remains before they arrive. Notes is a simple text editor that allows you to create, edit and store textual tidbits that don’t quite fit the Todo list format. World Clocks lets you add time zones of other locations onto your Momentum page. Add your own personal touch by changing the font and theme (i.e. menu) colors of Momentum. Autofocus connects your Todo list to your Focus, so whenever you complete your Focus it is replaced with the next item on your Todo list. Multi-Todo Lists let you go beyond the default Inbox, Today and Done lists by adding your own custom lists. Momentum's Todo integrations let you manage your Asana, Todoist, Trello, Google Tasks, Wunderlist, BitBucket, GitHub or Basecamp 3 tasks with Momentum’s Todo. My Mantras, My Photos and My Quotes let you personalize your Momentum page by adding your own custom photos, mantras and quotes. Plus members can also change/skip their Momentum mantras, photos and quotes whenever they like. Metrics let you add and keep track of certain information on your Momentum page. Momentum currently has Metrics for Fitbit step count and Todoist Karma. The Balance mode customization options let you change the time range and days that that Balance mode and the Percent Clock display. If you're interested in these extra Momentum features and options, upgrade to Plus today to gain immediate access.